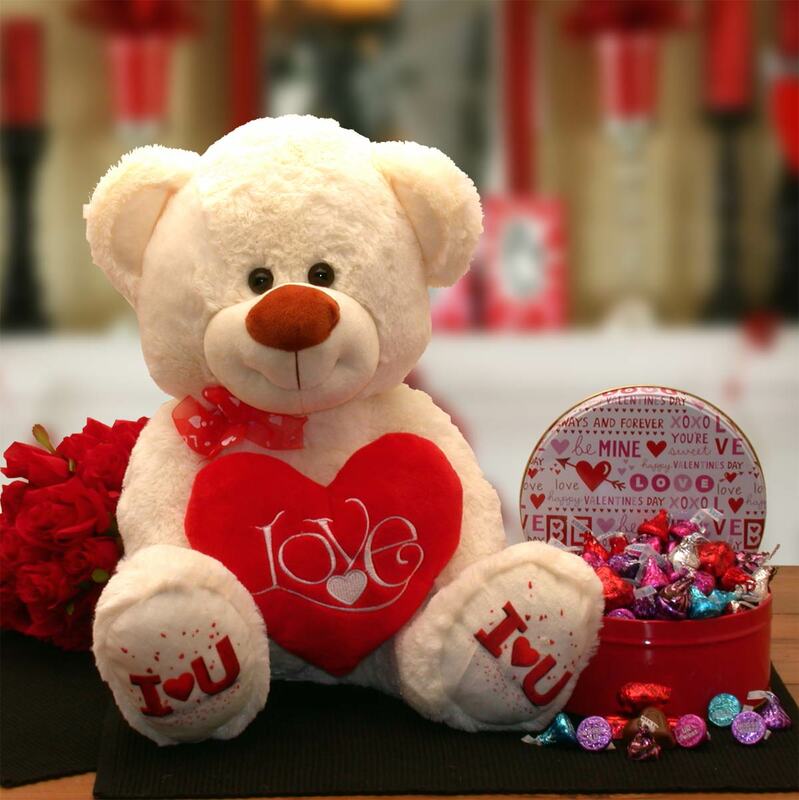 Show your Valentine how much you love them with our adorable plush I love you bear. He is over 18" tall and ultra soft. He delivers with him a Valentine tin filled with an assortment of Hershey Kisses and valentine chocolate hearts. 18" plush white teddy bear with I love you heart, 9" round valentine tin with over 1 pound of Hershey Kisses and chocolate hearts, Kiss flavors include, Strawberry, caramel, milk chocolate, cookies and cream and dark chocolate.